Buckle your tiny seatbelts. 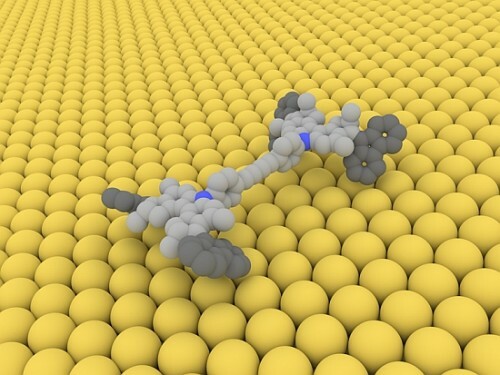 Scientists have created a car at the nano scale. Just how small is nano? One nanometer equals one billionth of a meter. To help you wrap your head around that, the average sheet of paper is about 100,000 nanometers thick. Measuring in at 4 nanometers by two nanometers, this car is about one billion times smaller than a Volkswagen Golf. Made from a single molecule, electricity powers the movement of the nano car’s wheels, which can be driven in a straight line and in a controlled manner. What’s more, the nano car emits neither greenhouse gases nor any noise, a talent it does not share with its bigger cousins. But like any vehicle, it has its flaws. For example, it has terrible “gas mileage.” Scientists need to refuel it after every half revolution of its wheels. To do so, they give the wheels an electric zap through the sharp, wire tip of a scanning tunneling microscope, an imaging instrument. Also, the nano car can’t drive in reverse. The nano car is the first foray into designing molecular transport machines, a fancy phrase for microscopic vehicles, which could help scientists carry out tasks at the nano scale.